Date : Monday 12th December 2005. 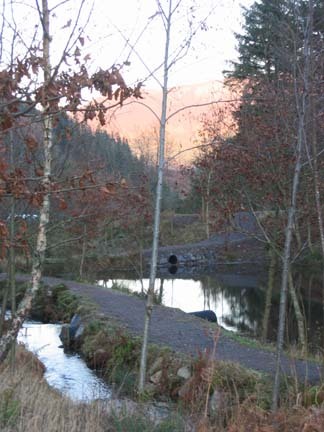 Location : Lorton Valley and Whinlatter. 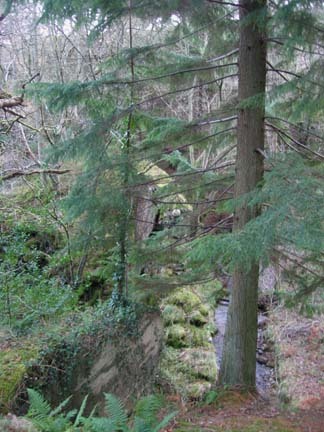 Walk details : Two local walks, one of forty minutes and the other including 1.5 hours of orienteering then a cuppa. Weather : Sunny winters day, cool but no breeze. 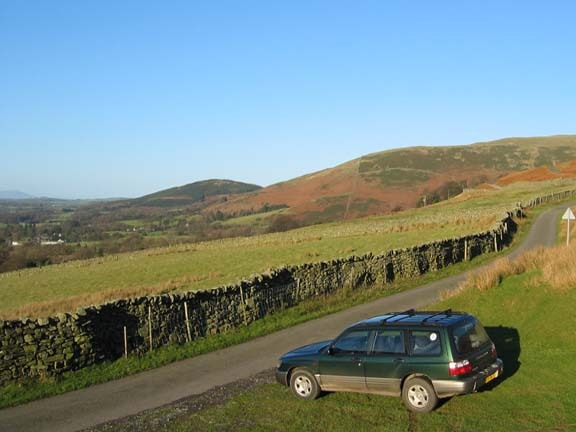 Parked up at Hopegill overlooking High Lorton. 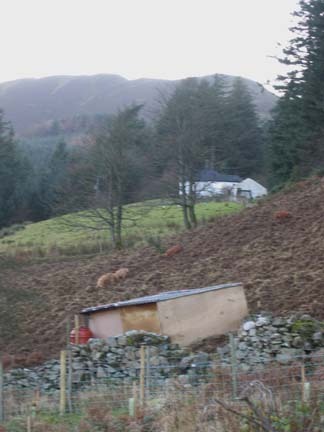 Looking across to the Loweswater Fells with Low Fell on the right. Hope Gill - which gives its name to Hopegill Head of course. 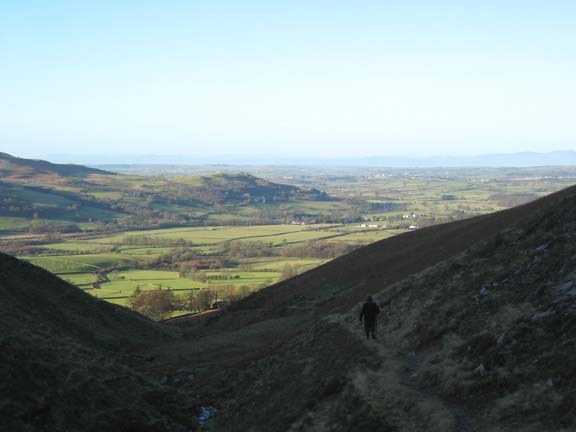 The good path climbs up the valley but ends short of the steep northern slopes of the fell. Ladyside Pike is the peak on the left in the sunshine. North Cumbria and the Solway with Scotland behind. 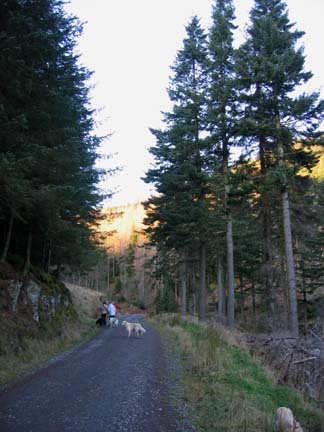 Hopefully we have tired the two dogs a little so they won't be so excited when we meet the group at Whinlatter. Calvert Trust volunteers - their friends, partners, and dogs. A pre-Christmas get together away from the riding stables where most of the volunteers work as helpers with Riding for the Disabled. The afternoon choices were to go for a forest walk, or take a more competitive option to find as many orienteering marks as possible. 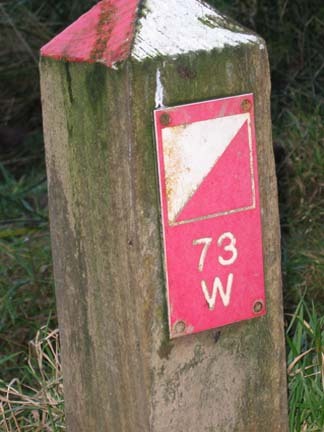 There was a free choice of routes within the forest, and points were awarded for each marks found and recorded. Its amazing too how competitive tendencies come to the fore given such incentives. 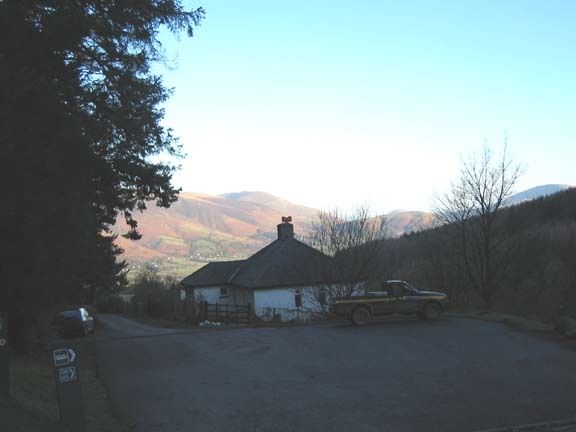 The Forestry cottage just down from the Whinlatter Centre on the way to the first mark. 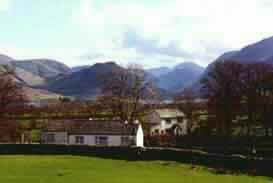 A sunny Blencathra, Latrigg and Clough Head in the background. Somewhere out there in the trees are lots of these signs. Using the map find them, check the number and note the letter, then you can claim the points. Ann and I made our way down through the forest. By reading the map carefully, and following all the bye-ways and small paths, its amazing what comes to light. 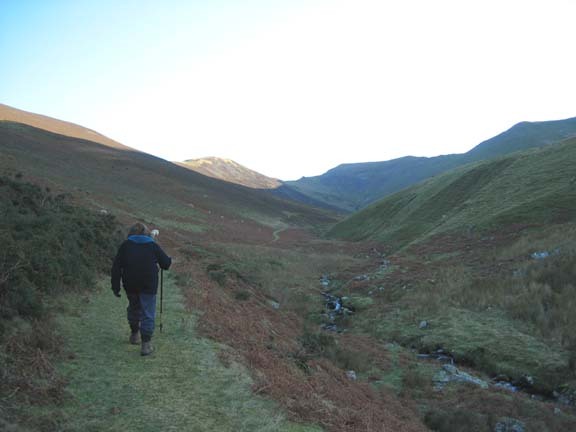 On the right an old dam which would have held water back for the Thornthwaite Mines in the valley below. 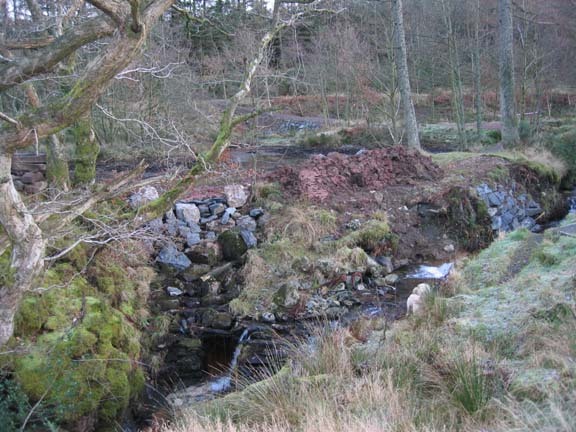 On the left two newer pools created for wildlife in the forest, one of which was undergoing some serious repair by the look of it. maybe last winter, or during the heavy rains earlier this year. The moon is up, and Skiddaw is enjoying the last of the short afternoon sun. 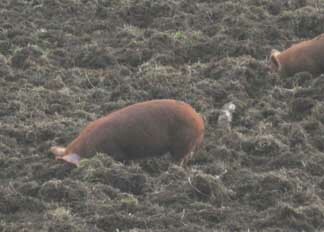 One of the old fields has a sty and several pigs in it, presumably in order to turn the soil and remove the scrub growth so that it can be returned to grass or whatever. They were too busy digging to stop and explain to the likes of us ! This site best viewed . . . with just a few more points then we would have won !